Keep your yard Fido-free! 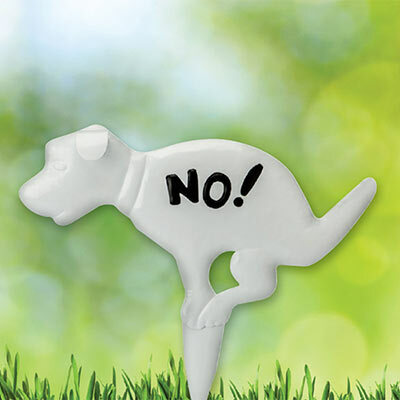 This cute, yet effective, yard stake plants firmly into the ground and reminds everyone to tend to their doggies' needs elsewhere. Made of dimensional painted metal. 10"h.